The Welsh Chamber Choir is the only choir of its kind in Wales, and fills a crucial gap in the country’s musical ecosystem. We sing all over the country to audiences that don’t have regular access to professional-standard choral singing, we sing under-performed and neglected music (especially by Welsh composers), and we provide a platform for young Welsh singers to learn the craft of small-group ensemble singing in their own country. We receive no regular government funding, and rely on the generosity of our Friends and Donors to keep the choir running. Our Friends are essential to the continued existence of the Welsh Chamber Choir. For a small regular donation - £1 a day (or two coffees a week!) - our Friends receive various benefits (including free concert tickets, advanced booking, and attendance at open rehearsals and other events), they keep us touring and singing. We are always interested in hearing from sponsors: if you are able to make a donation in kind, or cover a particular aspect of the choir’s activities (for instance, commissioning a piece, or contribute towards travel to a particular venue), we would love to hear from you. Any size of donation, big or small, is hugely helpful to the choir, and goes directly towards the running of the choir. If you would like to help us make fantastic choral music, please make a one-off donation using the button below. 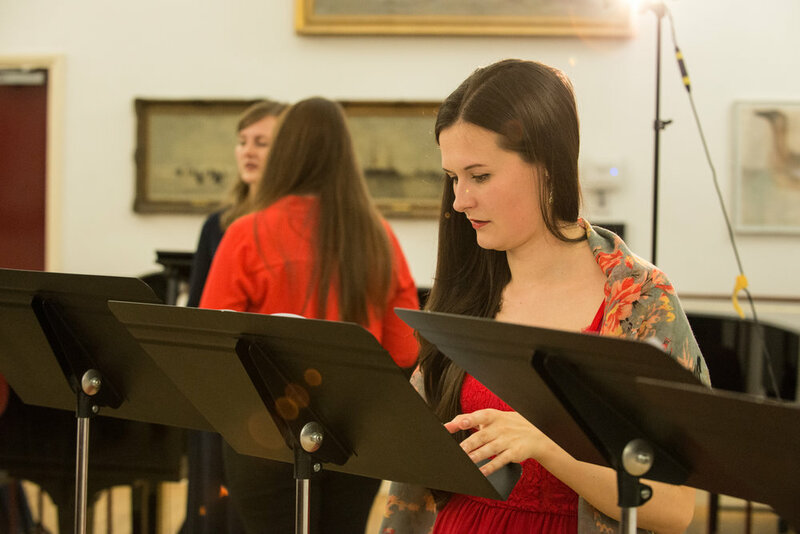 If you are looking for a choir - for a concert performance, a private party, a corporate function, a Christmas celebration, or anything else - the Welsh Chamber Choir can provide music, with any number of singers.